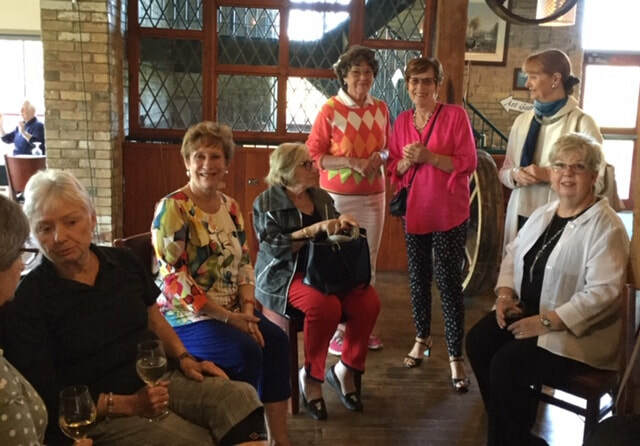 The Trenton Inner Wheel Club is mainly a Friendship Club. We enjoy meeting for lunch every month. 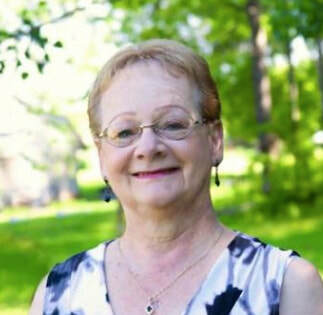 We also get together with our neighboring Cobourg Inner Wheel Club for Friendship Dinners. The project we have done in the past involved buying needed items for Seniors without family in a Nursing Home at Christmas time. Every four years, we host the Annual General Meeting for the International Inner Wheel District 707, most recently in September, 2018. 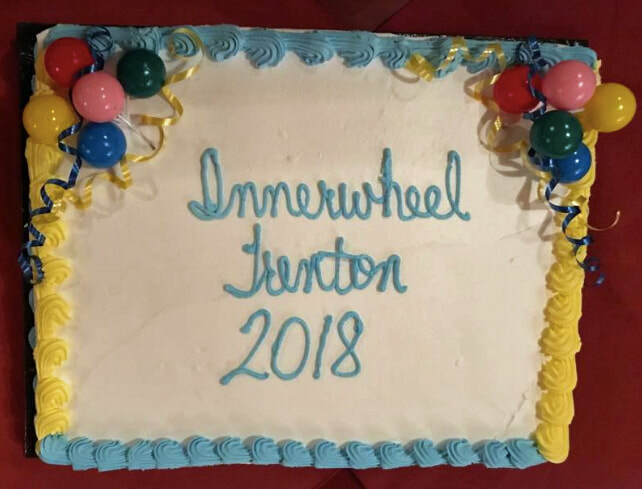 Above & Left: The September, 2018 Trenton Inner Wheel Club's hosting of the International Inner Wheel District 707 Annual General Meeting—served with cake! 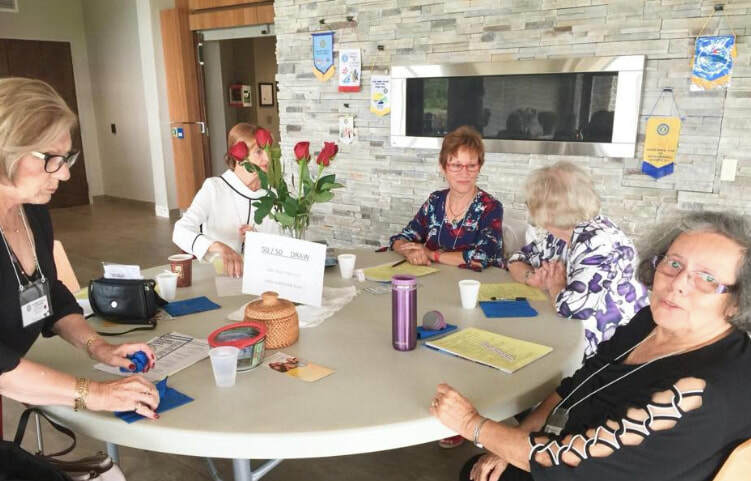 At the International Inner Wheel District 707 AGM in Trenton, Ontario, September 2018—from Cobourg, Ottawa, St. Mary's and Trenton, Ontario. 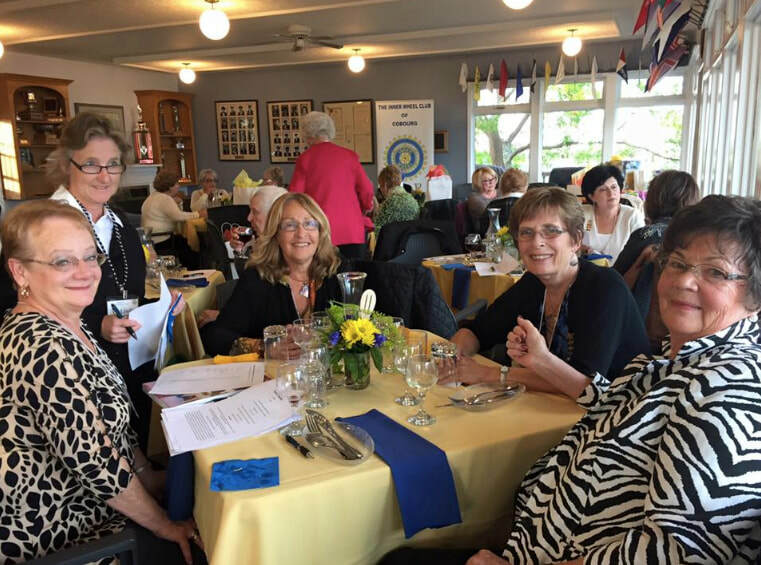 Above: Joint meeting between Cobourg and Trenton Inner Wheel Clubs; Right: Trenton Inner Wheel Members at the 2015 AGM of International Inner Wheel District 707, convened in Cobourg, Ontario. 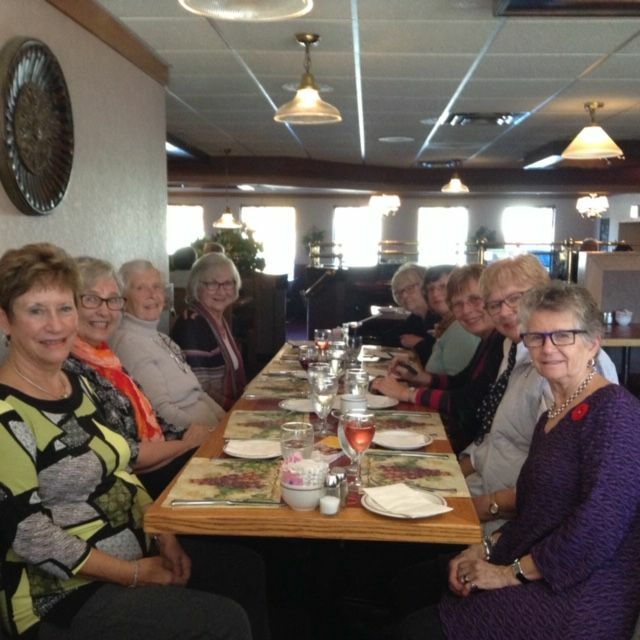 Left: Trenton and Cobourg Inner Wheel Club members enjoying dinner together; Above: Trenton Inner Wheel Club Project to bring needed items to Nursing Home Seniors at Christmas time.